I am the first to admit that I’m a bit of a makeup addict. I am very insecure with a bare face and I struggle to comprehend how some girls are able to go makeup free whilst I still struggle to cope not reapplying after a long day at work (seriously, I think the air conditioning eats my foundation or something because I come out of work looking like some sort of troll). I am a strong believer that the key to good makeup is a strong base, and I have searched high and low to find products that provide me with this. 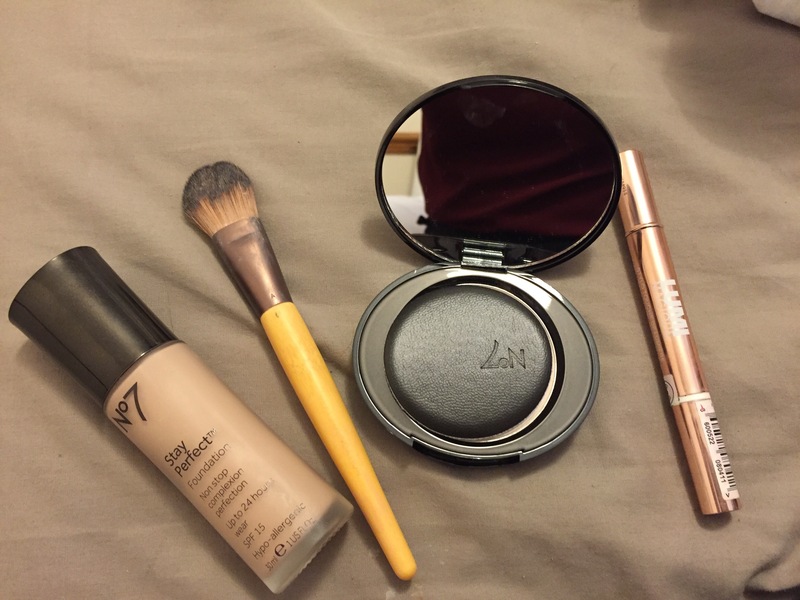 These are my key items to help create my everyday look, and the best part is, they don’t break the bank. I am a total No7 convert after going to their counter to discuss makeup with a sales assistant who really knew her stuff. I love that this foundation goes on easily, isn’t too heavy but is enough to brighten my complexion and even out my skin tone. I have been using this as my everyday foundation for around four months now and although I’ve looked around, I haven’t found a good substitute yet. At just under £15 it’s not too pricey either.